Mohammad Sami is a Pakistani cricketer who has played all formats of the game for the national team. He was born on 24 February 1981 in Karachi, Pakistan. Sami bowls right-arm fast and was considered to be one of the fastest ever Pakistani bowlers after Rawalpindi-born Shoaib Akhtar. Sami’s yorkers are quick and precise and his swing abilities are well-known. Sami’s performances in the domestic terrain brought him applause and recognition which finally led to his selection for the senior side in 2001. His career started at National Bank of Pakistan, a team which helped him gain recognition. He was braced to become the next great pacer after Shoaib Akhtar and was meant to stay. Sami’s ability to release the ball consistently at 145 kmph meant danger for most batsmen, but his accuracy gave the strength of his pace a dull shade. Mohammad Sami made his international debut on 8 March 2001 in a test against New Zealand. He bowled a superb spell in both the innings and ended the match with figures of 8/106. These figures were a world record at that time for most wickets by a debutant. On 8 April 2001, Sami made his ODI debut against Sri Lanka at Sharjah. He ended up wicketless but was tight with his bowling at an economy of 4.00. On 1 May 2010, Sami made his T20 debut against Bangladesh at Gros Islet in the World Twenty20. He knocked Bangladesh off their heels by picking up three wickets and helping Pakistan to a 21-run win. Mohammad Sami’s yorkers gained international recognition soon, and he was meant to become a regular feature for the Pakistanis. He sparkled on his test debut, picking up 8 wickets that included a 5-wicket haul in the second innings. Sami is the only bowler to have a hattrick each in all of the three formats. His first hattrick came in a test series against Sri Lanka in 2001, which was his third test match. The second hattrick came in 2002 against West Indies in an ODI series. The third hattrick came in 2017 in the Bangladesh Premier League which made him the only bowler with hat-tricks across all formats. Sami’s best ODI figures came against New Zealand on 1 December 2003 where he recorded 5 wickets for just 10 runs. Since Sami’s bowling was inconsistent, he was overtaken by other bowlers such as Umar Gul, Mohammad Asif, and Mohammad Amir. His lack of accuracy in spite of the pace meant his exclusion from most tours between 2004 and 2009. Sami was seen as a bowler who had a widely inconsistent line, and prone to conceding runs. A loss of form saw him out of contention for the national team and made a comeback only in 2009-10. 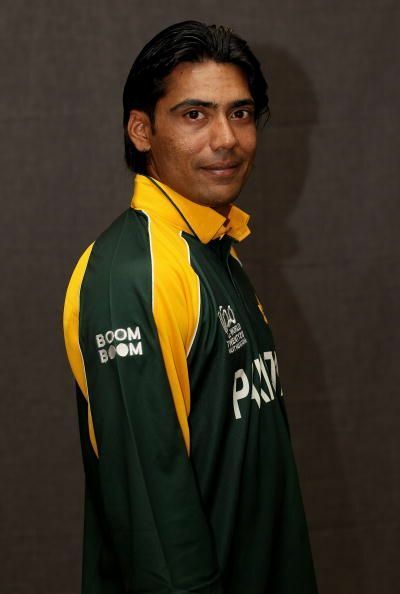 Mohammad Sami played for the National Bank Of Pakistan from 2001 to 2006 before signing a contract for the Karachi Dolphins. He then played a short stint for Sussex and then signed himself up for the unofficial Indian Cricket League in 2007. In the Pakistan Super League, Sami was bought by Islamabad United in 2016. He ended the debut season as the second highest wicket-taker with 12 wickets from 7 matches. In 2017, Sami signed for the Jamaica Tallawahs in the Caribbean Premier League where he currently plays. What happened when India last met Pakistan in the Asia Cup?